Prepare For Your LTO Driver’s License Exam Today! 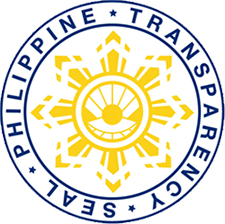 Welcome to the best free online resource for the LTO Driver’s License Exams! We will provide you with all the information that you need to help you pass your LTO Written Test on the very first try. 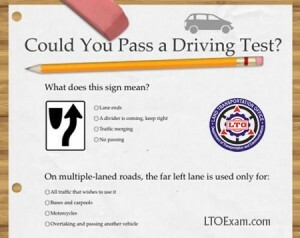 Passing the LTO Driver’s License Written Test with flying colors just got a lot easier with the test questions available online here for free so you can practice for your LTO Driver’s License Examination as many times as you need until you’re ready to take the Official LTO Examinations. Getting your Student’s Permit and progressing to your Non-Professional / Professional License has never been easier! Take the free practice exam today to find out if you will you pass the LTO Written Exams. The practice test is provided to show you the EXACT TYPE OF QUESTIONS & ANSWERS given on the Official LTO Written Exam and to demonstrate how the test is conducted in the LTO Office. Forget The Fixers! Be Smart, Drive Smart! Not Yet Ready To Take The Practice Test? No Worries! If you feel you’re not yet ready to take the practice test, you can study the LTO DRIVER’S LICENSE TEST ONLINE REVIEWER and take the test at a later date. Keep in mind that the Questions & Answers provided here at LTOExam.com are the SAME Questions & Answers you will encounter on the Official LTO Written Test. So don’t forget to do your homework and take the practice tests multiple times until you get it right.